2012 January through June skies. 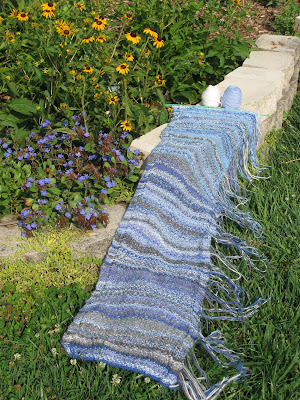 This is the 6-month halfway point for my 2012 Sky Scarf project. It's 49 inches long. If it continues through the end of December, it will be 98 inches (+ 2 rows). Hmmmm... do I need it to be that long? "Seduce" a rayon/linen/silk/nylon yarn by Berroco for fringe. Through my travels as a Blank Quilting fabric rep, some of the quilt shops I visit also carry yarn. I picked up 3 hanks of Berroco Seduce at Quilting Squares. 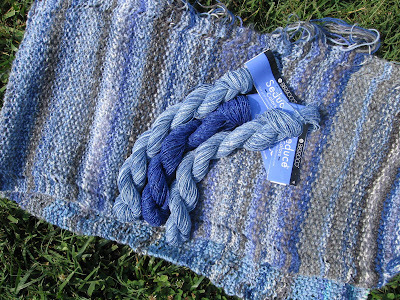 I knew the colors were perfect for the sky scarf as soon as I saw them, and they were reduced 50%, too. 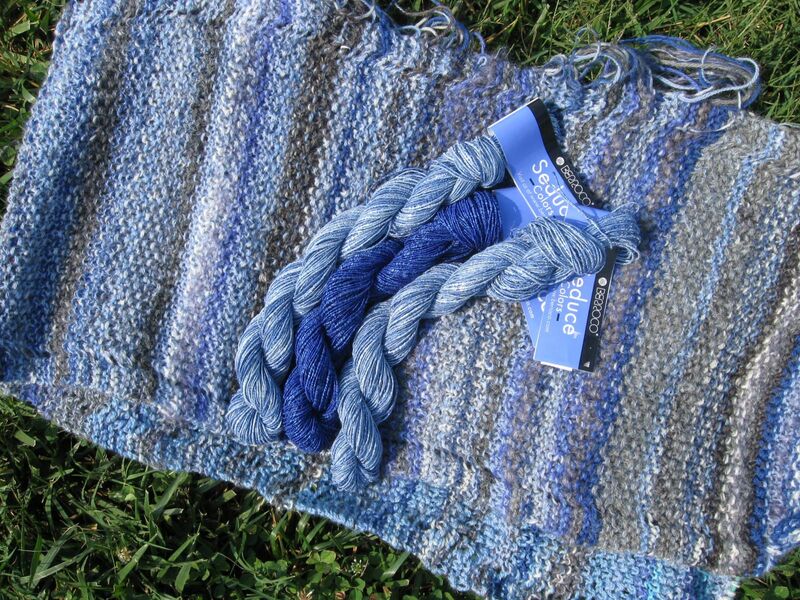 The fiber content of Seduce is slightly different from the wool blends I've used on the body of the scarf, but I plan to use it for fringe. I think the weight of the new yarn will provide good draping characteristics and the slippery quality will also minimize tangling. Besides that, the colors were just too perfect!